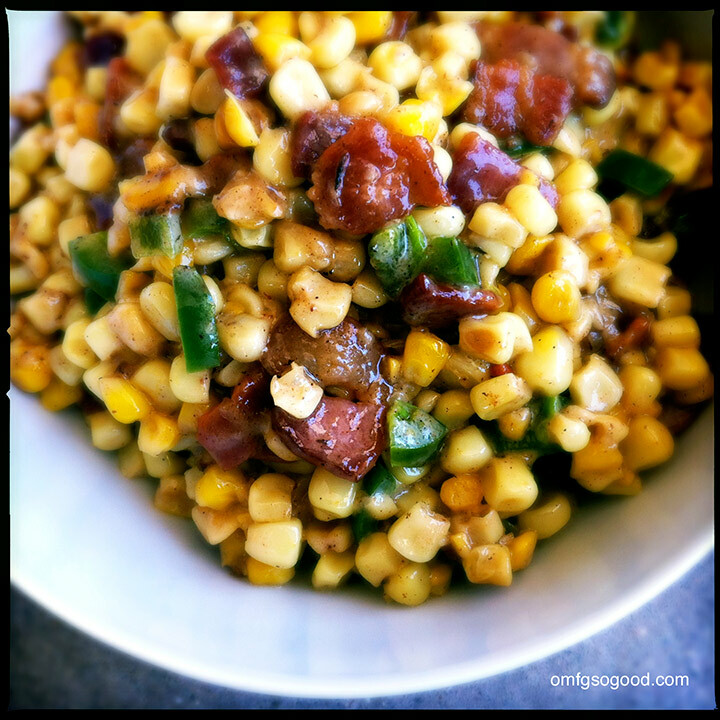 bacon and roasted jalapeño creamed corn | omfg. so good. I fully intended to have this written and posted before bed last night. Then I started playing Toca Robot Lab with Finley on the iPad and totally spaced on the corn. I love robots. I wish I had one. Not a toy robot, we have plenty of those. I mean a real, robotic cleaning machine. Like Rosie from the Jetsons. According to the original show concept, I only need to wait another 49 years and they’ll be available. Along with Space Sprockets and holographic communicating machines. 2062 is going to be so awesome. To roast the jalapeño, line a sheet pan with parchment paper or foil and set the pepper in the middle. Set the oven to broil and roast the pepper for 2-3 minutes, or until the skin starts to shrivel and blacken in spots. Flip the pepper with a pair of tongs and continue broiling for another few minutes. Set the pepper aside to cool on a cutting board. Once it’s cooled a bit, cut off the stem and remove the seeds, then dice it into small pieces. Thaw the corn in a strainer set over a bowl, then gently press out the excess water. 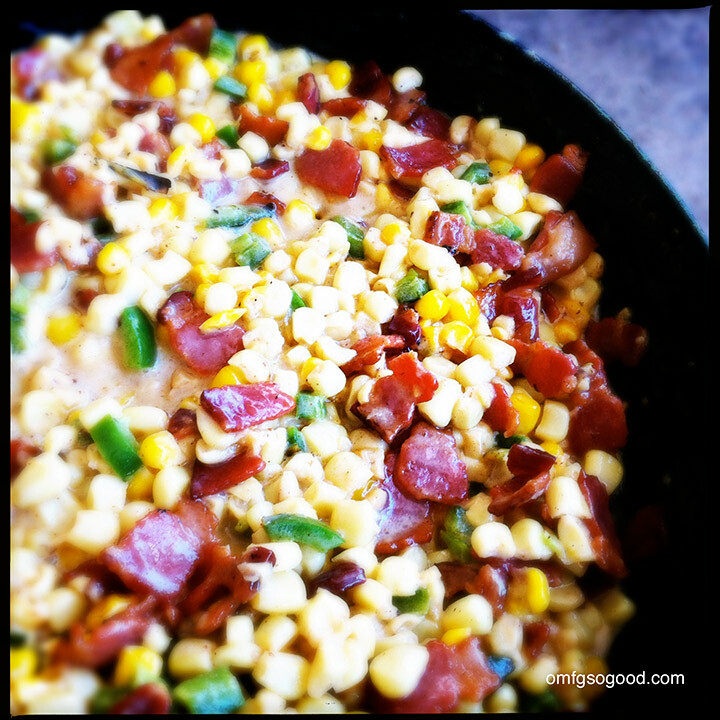 Leave the corn in the strainer to drain off any remaining water while cooking the glorious bacon. 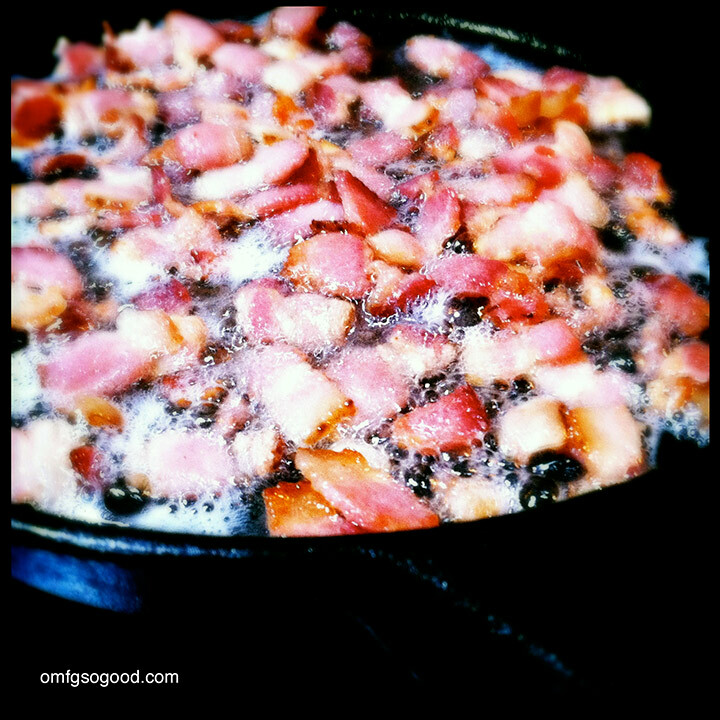 Using kitchen scissors, cut the uncooked bacon into small pieces and brown them in a cast iron skillet or large saute pan. Transfer the cooked bacon to a paper towel lined plate, reserving the drippings in the pan. 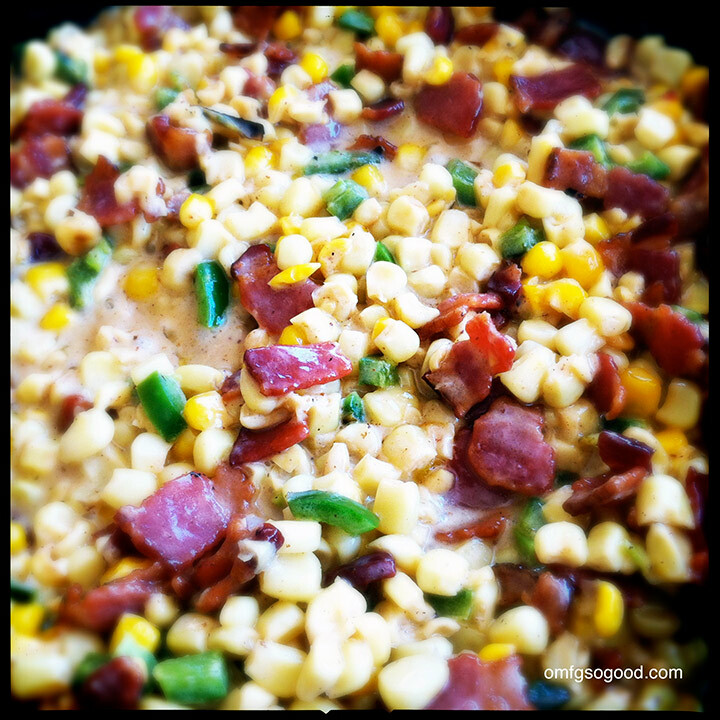 Reduce the heat to medium and add the corn to the bacon drippings. Stir to coat, then add the heavy cream and simmer to reduce and thicken, stirring occasionally (around 5 minutes). Add the bacon back in the mix, along with the diced jalapeño, and stir to combine. Reduce the heat to low, season with a bit of salt and allow to simmer for a few more minutes to thicken to creamed corn consistency. Now, if I had a Rosie the Robot I could ask her to fold my laundry and mop the floors while I made a second batch for muffin testing. Then the kids and I could hop in the ol’ flying car and go out for some space age ice cream. Yes, I predict 2062 will be awesome indeed. That looks soooooo damn good!